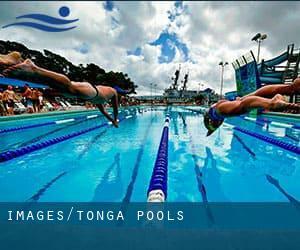 Do you realize of any Pools in Tonga that ought to be listed here? Contact us!. Thanks to some new pools submitted by swimmers like you, Swimia.com is increasing in the everyday number of stored pools. Please don't hesitate to contact us if you get any Tonga Swimming Pool with inaccurate or incomplete information. Please use the make contact with details supplied at each pool profile to check if they are offering aquagym lessons, since is just not so standard to see an Aquagym in Tonga. 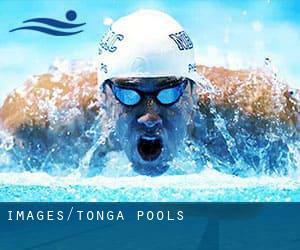 Please contact the sports centre in Tonga to check which activities are being offered and their timetables, because Tonga Pools might have different rules and fares than other places. Most of the Tonga Pools supply both open lanes for independent swimming and also guided activities like water aerobics or Aquabike. The greatest choice throughout your visit to Tonga will probably be droping by a Tonga Swimming Pool. One in the advantages of outdoor swimming in Tonga will be the possibility to sunbathe throughout the summer season. Taking it with additional care, sunbathing is wholesome since introduces Vitamin D into the body, so the most effective option seems to be switching between indoor and outdoor pools depending on the season. Let us let you know a secret to switch off while you are in Havelu: just pick a Swimming Pool in Havelu and plunge into the water! There's no more beneficial method. It's hard to visit Tonga with out dropping by Vaini (with 2.976 residents). Currently Swimia is showing you all the Swimming Pool in Vaini as well as the closest pools situated in its vicinity. Without a shadow of a doubt, swimming in Nuku'alofa may be the most beneficial option to unwind after function. Take a couple of minutes to browse Swimia's catalog to find a Swimming Pool in Nuku'alofa. Holding an estimated population of 1.241, �Ohonua is among the most important cities in Tonga. Check all the Pool in �Ohonua and its surrounding area. Whereas Neiafu is one of the six most populous cities in Tonga with nearly 4.320 residents, you shouldn't miss that one if you're going to Tonga. Swimming is really a excellent thought to keep your body active throughout your visit to Pangai (Tonga), or even if you are a local. Swimia helps you to find your closest Swimming Pool in Pangai. Vuna Road , Nuku’alofa . Among all of the activities offered by the centre, in case you are considering swimming you are going to delight in 50 feet (+/-), Outdoors. If it is advisable to contact this Pool, e-mail address and phone number are both number.